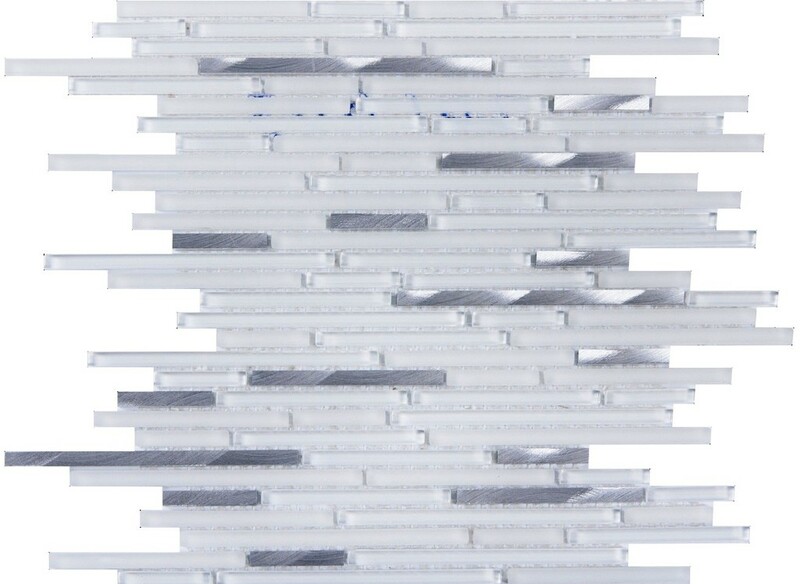 White Shadow thin strip interlocking mosaic tile is a blend of Glass and brushed aluminum in an narrow random strip pattern with a thickness of 8mm mounted on 12"x12" mesh backing sheet. Over all color scheme: white and grey. Recommended use backsplash, accent walls, bars, bathroom in both residential and commercial project. Love the look of these tiles. Great as an accent or as the shower floor.